Hi , me and my friends have a big doubt on how nifty 50 index price works .I know that nifty index price is based on 50 stocks price according to their market cap and weightage.Some one who has experience and knowledge please answer my following questions.Thank you. How do SGXnifty move in early morning when those 50 stocks are not traded and why that affects nifty index at morning (Gap up / Gap down)? Does Nifty future price affect nifty index price ? Does Nifty options price affect nifty index price ? How can nifty index gets support at some important decision points like 10000 rupees , when price may vary purely when those 50 stocks price fall randomly. Does Nifty obey support and resistance levels? If yes, why? 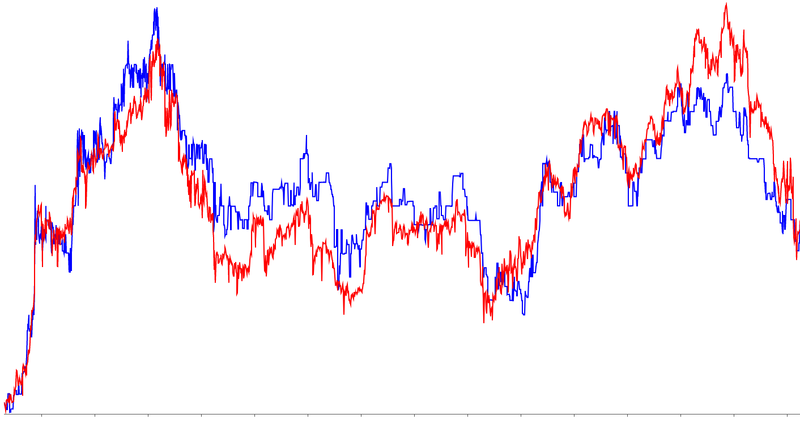 SGX Nifty just like any other futures instrument tries to price or factor in the probable change which has occurred while the Cash Market is closed. Nothing more, so its just speculative. There are many instances where SGX nifty goes the other way or Mkt open does what it wants to. Futures price doesn’t affect the spot. If you listen to media or forums, occasionally you will hear the term “Index Management” and in recent few years more common with Bank Nifty weekly expiries. If all 50 stocks are falling, nothing can be done, but in normal mkt conditions, it is possible to use one or more heavy weight scrips to hold a particular level or even move it either way. Another possible reason is many enter/exit stocks not just based on individual scrips but Index levels. For eg. 10K Nifty is a strong psychological level, at that level, it can attract buyers irrespective of the individual scrips position/price at that time. MF houses can be a good example of how the levels can be influenced. Option pricing is not straight-forward, this is a big topic on its own. Some use spot, some Futures and many other black boxes exist. NSE however uses the Black-Scholes Model which is based on spot price. 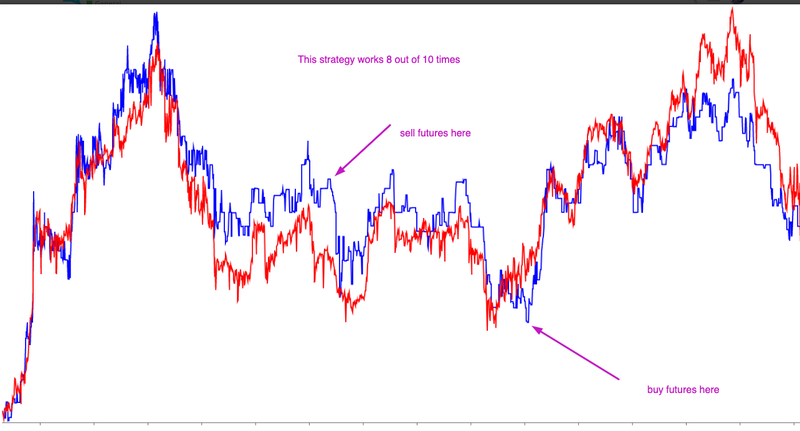 But they don’t trade the scrip, its mkt forces that determine the actual price. No, traders trade futures based on their predictions of Nifty index spot. Sometimes in between future may go way higher or lower than justified compared to Nifty spot, but then traders will bring it down to proper levels by either short or long. No, again traders trade options based on their predictions of Nifty index spot. Sometimes in between option premium may go way higher or lower than justified, but then traders will bring it down to proper levels by either short or long. Now if Nifty falls there, its the job of those institutions who bought there to defend those levels, so they may buy the Nifty stocks to defend the support (if they feel it should be defended). It is calculated on settlement price of index which is average of last 30 minute prices of the index spot. Hi guys . I had pretty much the same doubts and found this topic to be extremely useful. In addition,I have one more query. Lets consider a scenario where nifty is exactly at its support and nifty futures is trading slightly below or above its own support at the same time(This kind of situation seems to come up pretty commonly on the minor time frames and could be more relevant in intra day trading) . Should I, in this case do my trading on the nifty futures depending on the fact the spot price of nifty is at its support and expect the nifty futures to go up too or would i be better off to disregard spot price and trade futures based on its own support and resistance levels/trends which show slight variation from the spot price? It’s Bcoz NIFTY FUT will not always in FAIR VALUE. But from what I have read in a lot of places I gather that spot price is independent of futures price while futures price follows the spot price. I could totally be wrong though. I’ve traded stocks for a few months now but am only just starting to trade futures. 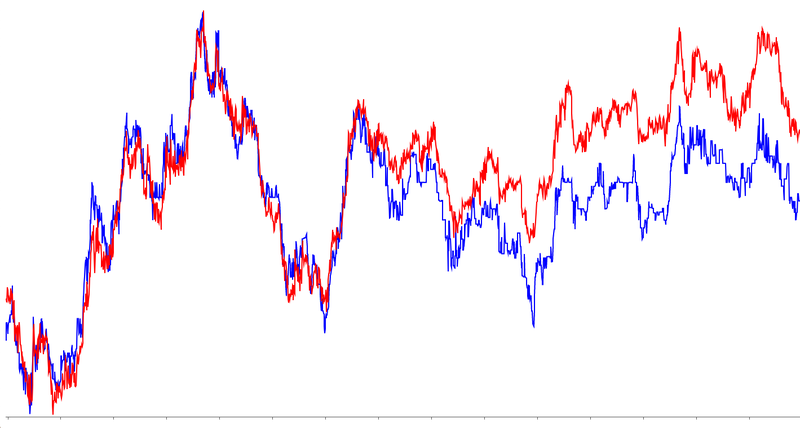 Here is my backtest for banknifty , tick by ticks… each image is 3000 ticks .Red is index and Blue is futures.You do the math. Here is an example how you can decode this image. This is absolutely brilliant. Can’t thank you enough for sharing this! 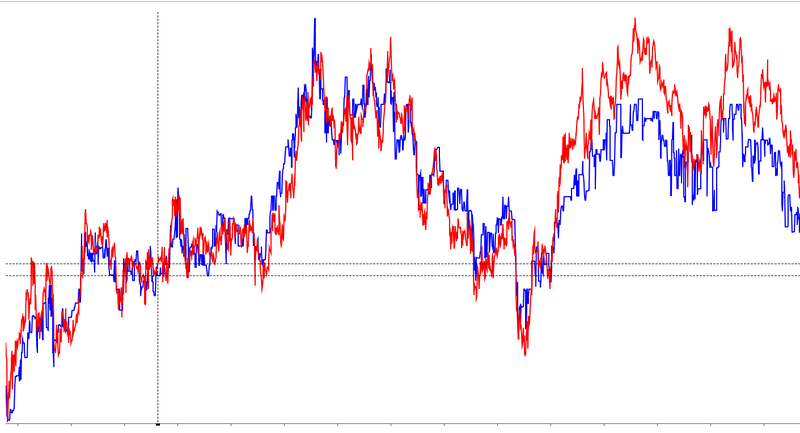 What trading platform have you used to compare the 2 charts btw?